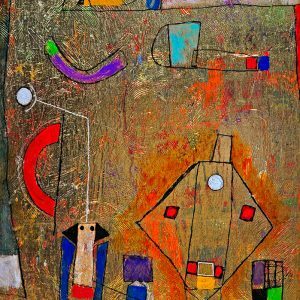 Gil Francis Maningo paints his golden years and imbues his artistic expression with the metal representing the wealth of his life’s experiences. 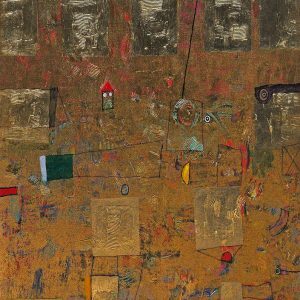 In his long and prolific career, he has achieved his brand of artistic sense – a gold sense – one that is celebrated here in this month’s featured exhibition. Born in Cebu, the nation’s cradle of Catholicism, Maningo is heavily influenced by strong ties to his faith, one that helped shape his artistic identity earlier on. 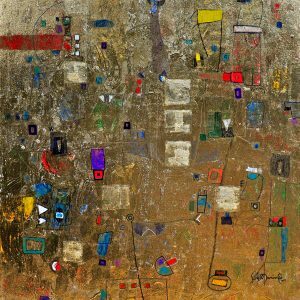 He studied Fine Arts at the University of the Philippines Diliman, under the tutelage of Jose Joya and Martino Abellana. Expanding his artistic repertoire, Maningo also learned and dabbled in photography, music, and acting. His portfolio is as diverse as it is dynamic: he was one of the first recording artist for Octo Arts; a graphic designer for Chicago Sun Times Magazine, a premier caricaturist, among many others. As his artistic pursuits branched out far and wide over the years, Maningo remains a steadfast painter at the core. 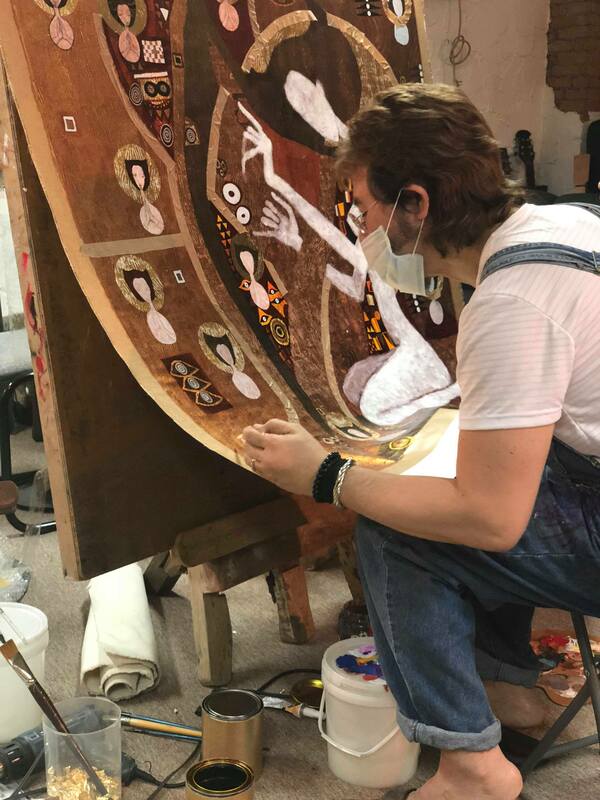 He paints with ornate elegance, in the distorted and hyper-stylized forms of expressionism, and stamps his signature gold leaf overlay techniques. This thoughtful addition is seen more than serving a decorative purpose; it all the more underscores the elements in his elaborate canvas. This ‘gold sense’, the little glittering nuggets of details stand out all the more and ultimately becomes the essence of his entire body of work.